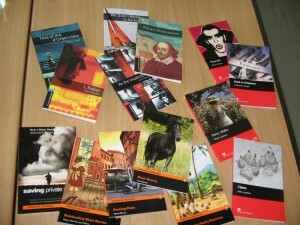 I am a huge fan of extensive reading (ER), and believe it is an essential part of any language course. Also known as FVR (free voluntary reading, although the voluntary part is kind of optional, as you’ll see below), it basically consists of reading a large amount of easily understood text. This usually delivers fairly painless language acquisition, as well as the ancillary benefits of enjoyment and incidental content learning. You can learn more about ER at the Extensive Reading Foundation page. I’ve been doing ER with Japanese learners since 2004, and have found a few techniques over the years that make a big difference to learners’ progress both inside and outside the classroom. This is so important. Many students lead busy lives, and reading in English will have a low priority. By giving them time to read in class, we ensure that all students are having the chance to spend at least some time engaged in this crucial activity. Additionally, if students start to read a book in class, the chances that they will then finish it after class increase dramatically. 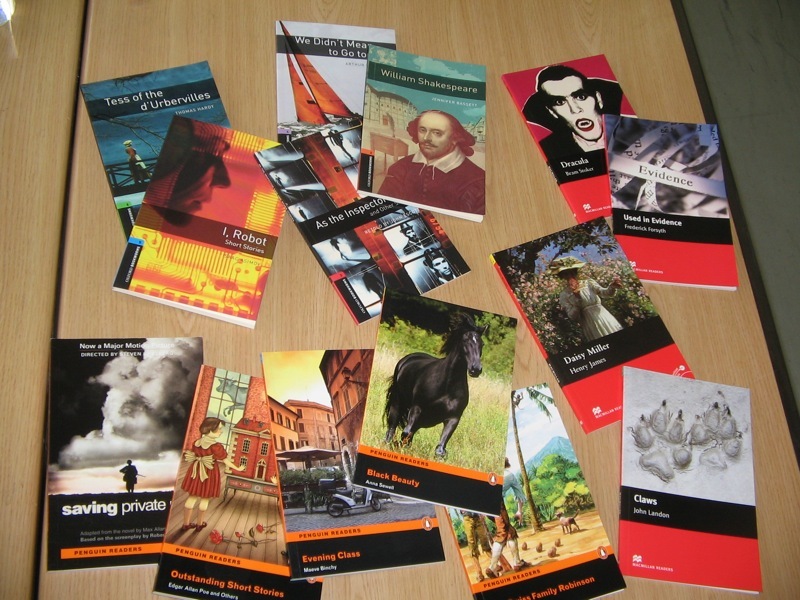 Let’s face it, students rarely choose to read in English purely for pleasure. They may do it because they find it useful or because they believe it is a good way to learn, but most of them do so because their teacher asked them to. Finding achievable goals that push your students to read more and more without overburdening them is the key to a successful ER program. This is the foundation that the previous point rests on. It is essential that students understand why they are reading before they start. The principles of ER, guidelines and advice, as well as expected results should be made as clear to the students as possible. If students understand and, more importantly, believe in ER as a method, they are far more likely to succeed. Introduce books to students based on their interests and your own. Hopefully you’ll have read all your readers and will be able to recommend specific books based on genre, level, length, and other factors. A personal recommendation makes it much more likely that students will read, and also more likely that they will find a book they like. This may be the most important tip of all. Assuming that most of your students are participating actively in the program, you can harness the power of peer pressure and social proof. If students have time to talk to each other about the books they have been reading, they can share book recommendations and inspire each other to read more. Of course, if many of your students are not participating actively, you may wish to avoid this, as you run the risk of having them drag down the more active ones. It’s just a matter of reading your class to see if this would be beneficial or not. So, what do you say? Any other good tips for running an ER class or program? As always, thanks for the thoughtful and informative post. We use extensive reading (termed SSR – Sustained Silent Reading) as an integral part of the English reading skills curriculum at Obirin. Students read in class for at least 20 mins a week, and are also encouraged to read outside of class. I believe in the benefits of ER (and I wish it was more readily available to me as a learner of Japanese – damn those kanji :-D) I totally agree with you on points 2-5 also, and it might take me a while to get through the sizable library of graded readers Obirin has on offer – but you’re right, ‘do as I do’ works a lot better than ‘do as I say’ when it comes to activities such as SSR. Thanks for the ideas and food for thought! I’m going to try and implement some of your advice in my future classes. Thinking about you up there in Sendai tonight so decided to visit you. Impressed to see you updating on topics useful to all. We also do a lot of reading though mostly with our kids not adults and we mostly use native level texts. Reading in class is something we have been doing quite newly. Agree about suggesting books, and my top tips would be modelling reading. Sharing what you are reading too. And one thing that works better than expected is reading aloud, to older kids (and adults?) as well as younger kids. I’m surprised when students remind me which book we are reading or where we are up to. Since March 12 we have been doing a reading marathon and our 80 kids have read almost 2000 books since then! We can see such an improvement. Any ideas where we should send the money we are raising, Ben? As for donations, the government seems to be doing okay in terms of compensating victims (our rental house was destroyed and we’ve been given help to rent a new one), so I would look for projects that help society as a whole. I saw this the other day and liked the idea: Rainbow House. I’m interested in your reading marathon Janina, would you share how you set it up and are running it? I hope things are looking up soon.